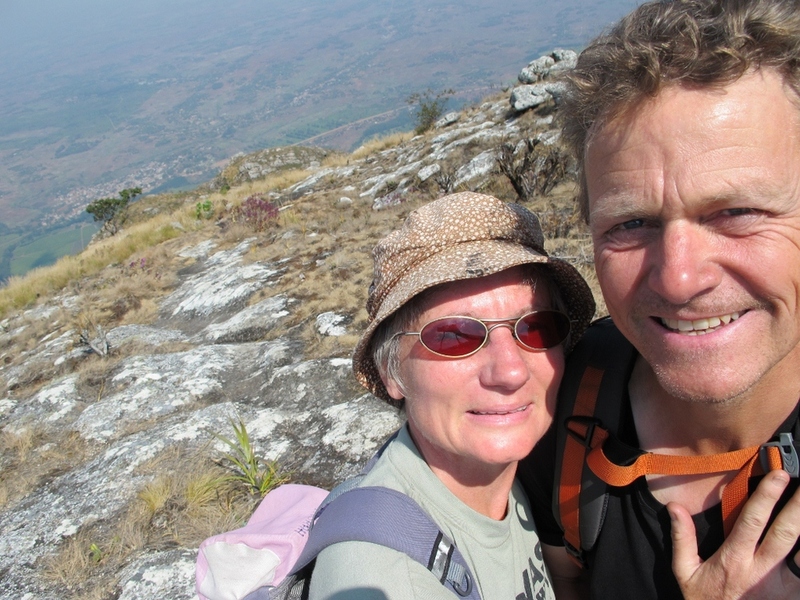 We took a break from our activities in Blantyre and went hiking in Mount Mulanje, a 1.5 hour mini bus ride away from the city. The mountain is actually a massif with some 20 peaks reaching over 2500 meters. We were looking forward to a quiet weekend in a remote mountain hut but for the first night we had to share the overcrowded cabin with 9 Dutch NGO workers, 2 Dutch and 2 German hikers and a 14 person congregation from a local church on a retreat. Luckily for us the congregation as well as everybody else left that day and we enjoyed another day and night of pure nature and quiet.